Not every fireplace is exactly the same, and knowing what type of fireplace you have in your home can help you properly take care of it. 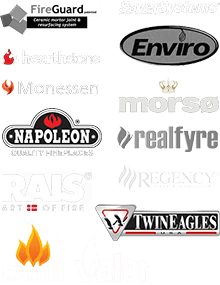 It is also important to know the differences between types of fireplaces if you are considering adding a new fireplace to your home or planning to build a new home with a fireplace. 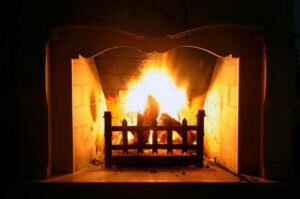 Different types of fireplaces have different instructions to maintain and operate them to be safe and efficient, which is why Olde Towne Chimney & Fireplace Sales would like to tell you more about the types of fireplaces and the best ways to take care of and use them. A masonry fireplace is built with bricks, stone, or blocks and mortar, and the Chimney Safety Institute America (CSIA) says you can easily tell if you have a masonry fireplace by looking at the firebox and the chimney. You have a masonry fireplace if the firebox is constructed with yellowish firebrick, the chimney above the roof is brick, and a pyramid-shaped brick affair can be seen up past the damper. Masonry fireplaces typically fall into two categories. A standard fireplace is built with inner walls that slope inward and a back wall that is vertical. 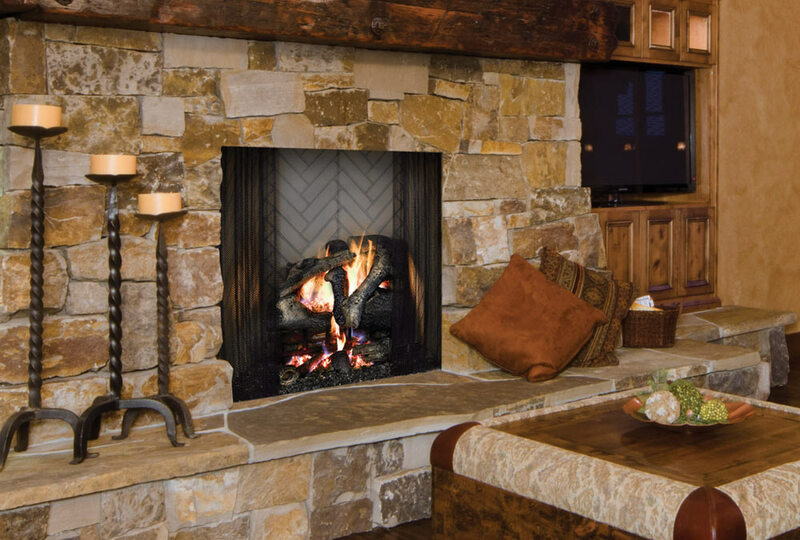 A Rumford fireplace is built differently to increase how much heat is provided to your home. This type of masonry fireplace has a shallow firebox, a higher opening, and slanted walls and back. The best way to prolong the life of a masonry fireplace is to take preventive measures to keep water out of the chimney. Olde Towne Chimney & Fireplace Sales can help you with our chimney cap and flashing installation services and with our waterproofing treatments. Over the last 30 years, factory-built, or prefabricated, fireplaces have become more popular in newly constructed homes. This type of fireplace is manufactured with steel, cast-iron, and firebrick in a factory and comes with a specific factory-built chimney to be installed on site. One of the most important things to remember about this type of fireplace is that it is listed specifically to be used with the factory-built chimney as a complete system. The installation instructions must be followed exactly for a factory-built fireplace to work safely and efficiently, and you can trust Olde Towne Chimney & Fireplace Sales to install your factory-built fireplace properly. It is also important to operate this type of fireplace as instructed in the owner’s manual. Unlike masonry fireplaces, factory-built fireplaces cannot withstand extremely hot temperatures, so you need to be careful about overloading the firebox if you have a factory-built wood-burning fireplace.  No matter which type of fireplace you may have, you will still need to have your chimney professionally swept and inspected at least once a year. Contact us at Olde Towne Chimney & Fireplace Sales for all of your fireplace and chimney needs.